This is the second part of a three-part series that looks at the latest research into Lewy Body dementia (click here to read Part 1 of this series). My goal in presenting this research is to try to make it understandable and accessible so that we as caregivers of our loved ones who have Lewy Body dementia can have better insights into what is happening neurologically and why it is happening. The irony never escapes me that many of those people are subscribed to and/or follow this blog which, along with the two books I’ve written, not only gives the “whys,” but also gives practical application information about how to address and respond to the things they and their loved ones are experiencing. Yet it seems that many people would rather wallow in the angst of ignorance – and, it seems, try to garner an outpouring of sympathy for themselves – than to actually take the time to get educated and find solutions that will make their lives and those of their loved ones better and, in many cases, much easier to navigate and manage. I don’t understand that, but I also recognize that tends to reflect human nature in general. We seem to be hardwired to complain, to languish, to exult in an “woe is me” mindset and present that to others so they can pay attention to us and give us the limelight – and, often, praise and kudos for our trials and troubles – we crave more than we crave real answers, which are right in front us. I have been a “why” person since the day I was born. I remember my mama telling me that at times I would drive her and Daddy crazy because no matter what they told me, my first response was always to ask “why?” Not once, not twice, but until they could give an answer that made sense to me. That trait, on the other hand, was one that my parents encouraged and, even when it was difficult for them to deal with, never stopped responding to because they realized that I was simply trying very hard to understand whatever I was asking “why?” about. That is the reason that the whys of understanding these neurological diseases matter. When we know why something is happening, we are better equipped to avoid frustration, hand-wringing, and, sometimes, anger, and instead find tangible, practical, and, in this case, loving, gentle, kind, compassionate, and empathetic ways to respond and to walk this journey with our loved ones. So with all that being said, here’s part 2 of the latest (2015) research on Lewy Body dementia. At the International Dementia With Lewy Body Conference, held December 1-4 in Fort Lauderdale, Florida, researchers presented findings that showed how concurrent amyloid pathology in Lewy Body dementia explains some of the overlap between Lewy Body dementia and Alzheimer’s Disease. 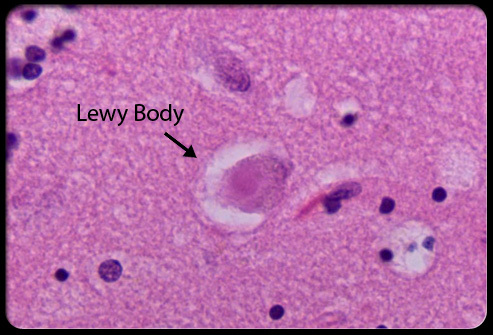 However, the latest research also shows that Lewy Body dementia is a distinct type of dementia and is very much its own neurological disease, highlighted by Lewy Body dementia’s unique and defining component, which is its α-synuclein pathology. While much of the previous research on Lewy Body dementia has come from studying Parkinson’s Disease, which shares some of the characteristics – but not the same pathology – of Lewy Body dementia, the newest research has revealed distinctive features about the appearance, timing, and spread of Lewy Body pathology. A typical Lewy Body protein is a decade in the making. It takes 10 years to grow and develop its classic and structured form. This is particularly true of older Lewy Body proteins in the brainstem, which have had more time to mature, than the younger ones that develop later as the pathology spreads to cortical regions. However, the newest research has found that with Lewy Body dementia, these same Lewy Body proteins tend to look younger and be less structured. Additionally, these proteins are also far more prevalent all over the cortex. The Lewy Body proteins associated with Lewy Body dementia sweep through the brain faster, possibly accelerated by the presence of other neurological pathologies associated with other types of dementia (this would lead to a mixed-dementia diagnosis). Two cortical neurons each contain a diffuse Lewy body as typically seen in DLB (left, x400). Mature Lewy body in a brainstem pigmented neuron, as typically seen in PD (right, x1000). This Lewy body is ringed by a halo. Both are stained for α-synuclein. [Courtesy of Glenda Halliday]. The latest research has discovered that people with Parkinson’s Disease survive on average of 13 years after their diagnosis, while people with Lewy Body dementia die well within a decade, some even in as little as six months, after the symptoms of Lewy Body dementia are apparent. I can attest to this firsthand. I saw the first signs of Lewy Body dementia in my mom in August 2010 after she had been diagnosed with mid-to-late-stage Alzheimer’s Disease and vascular dementia (a mixed-dementia diagnosis) and she died in August 2012. The rapidity of my mom’s steep neurological decline – it seemed like the flicker of the spark was very subtle and gradual for the first five years or so, but once the fire ignited, it spread as quickly and pervasively as a western U.S. wildfire – has always been and perhaps always will be one of the most surprising things I have ever witnessed another human being go through. What the latest research has revealed is that, in contrast to the specific and mature deposits of Lewy Body proteins in a logical pattern that is seen in Parkinson’s Disease, in people with Lewy Body dementia, where there is a diffuse presence of Lewy Body proteins, these people also tend to have a lot of cortical amyloid deposits, more abnormal neurites and cell loss in the hippocampus, more striatal amyloid deposits, and more atrophy in the brain as a whole. The difference in the amount of Lewy Body proteins between Parkinson’s Disease and Lewy Body dementia is not the only distinguishing characteristic that delineates the two neurological diseases. Another different is apparent in the route these toxic proteins take. There is strong evidence that suggests that α-synuclein deposits in Lewy Body dementia start in the nose and spreads from there to other parts of the brain. 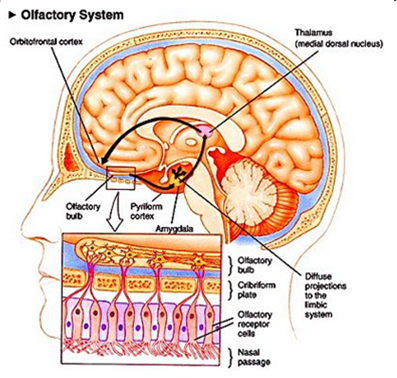 The olfactory epithelium, which feeds into the olfactory bulb, is only a short distance away from the amydgala. The amygdala is a main hub of Lewy pathology in Lewy Body dementia, which in turn relays to many of the other affected areas of the brain. Thomas Beach of Banner Sun Health Research Institute in Sun City, Arizona, has believed, based on his research into Lewy Body dementia, for quite some time that most Lewy Body dementia cases do not follow Braak’s brainstem-to-cortex progression of Lewy pathology (which is seen in Parkinson’s Disease). Beach and other researchers have, therefore, identified the olfactory mucosa as a possible entry zone instead (Beach et al., 2009; Funabe et al., 2012). From the nose, Lewy bodies could easily access the amygdala and then the brainstem, Beach said in Fort Lauderdale. However, while the hypothesis that Lewy Body dementia can start in the nose is a possible breakthrough in Lewy Body dementia research, there is not yet enough conclusive evidence to fully support this theory. One of the most obvious arguments against the nasal Lewy Body dementia theory is the presence of one of the hallmark characteristics of both Parkinson’s Disease and Lewy Body disease, which is R.E.M. sleep behavior disorder, often develops up to a decade before other Lewy Body dementia symptoms appear. Therefore, an unanswered question for Lewy Body dementia researchers is whether α-synuclein travels from the nose to the amygdala in some people and from the enteric system through the vagus nerve to the brainstem in other people. The clinical heterogeneity of α-synucleinopathies does, however, leave ample room for an explanation of many different routes that Lewy Body proteins can develop in different people. An interesting example of this is demonstrated by the fact that since humans swallow their nasal secretions, both the nose and the gut could theoretically be attacked and overtaken by the same environmental toxins such as inhaled pesticides or metal fumes in welding. The last post in this series will wrap up the latest research into Lewy Body dementia. Lewy Body Dementia and its fast rate of infiltrating the brain is very interesting. I believe this must have been what my sister had. My niece told me she had what the doctor called in layman’s terms – the worse type of dementia and very fast acting. My sister died within 3 years of her diagnosis. I do not believe this is what my brother had, he was diagnosed about 5 or 6 years before he died. My Mother lived about 5 years after she was diagnosed. Thanks for sharing all this information. I think about you and your mom now and then and how soon she was gone after her diagnosis. The fact that dementia is claiming so many lives of people in their 40s and 50s is just so frustrating and sad. Very good post Sandra.. 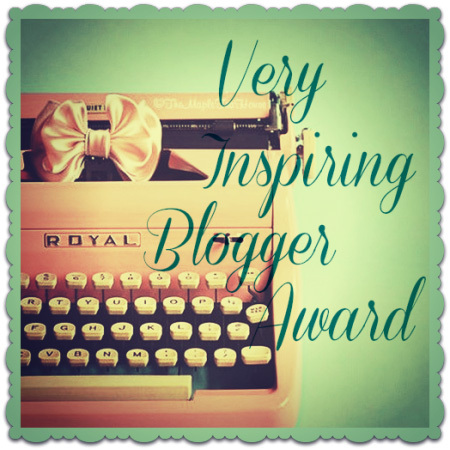 Thank you, as always, Liz, for taking the time to read this and all the posts on the blog. I always hope that the information I provide will help, will give answers, and will also provide encouragement and support. Thank you for confirming that some of those goals are being met. It means a lot to me and helps me to continue to pay what I’ve learned and what I am learning forward. Thank you for your encouragement. There are days when it seems I’m just wasting my time and effort, but this is one of the ways that I can serve others, and I’m always willing and bound to do that. You are right about our moms, Liz, and we won’t. 🙂 They set us that example to follow.